Located on scenic Skyline Parkway, adjacent to Spirit Mountain. Within 10 miles of many popular Duluth attractions. 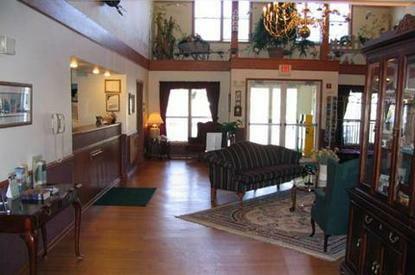 Enjoy the lobby's vaulted ceilings, fireplace and cozy atmosphere. All rooms are decorated with country charm to make you feel at home and feature coffeemakers, irons, and ironing boards. All rooms and public areas are non-smoking. Small pets are permitted-daily pet fee applies. Reservations including Pets must be made through hotel directly.